My boys are not model children. They don’t always listen, Brogan talks back, they throw fits, they scream, they hit… but, they sleep. Hallelujah, they sleep! We have gone through fits and starts with the sleeping, but overall, they have been very good sleepers. They were both sleeping through the night around three or four months. 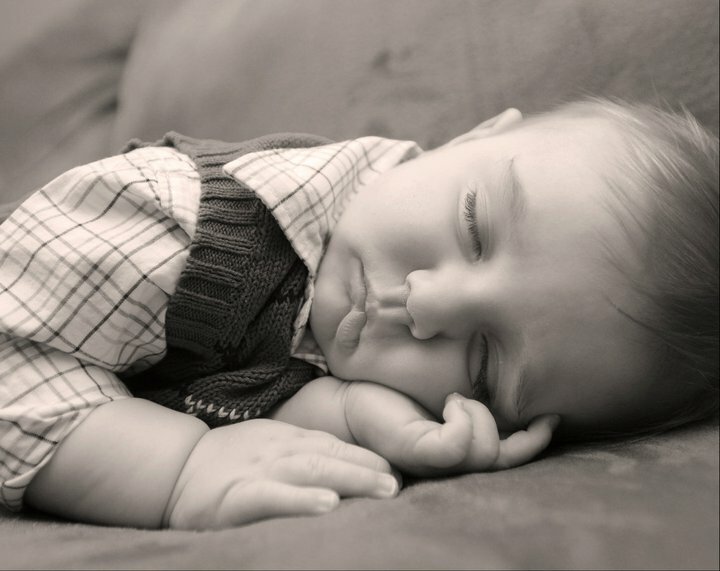 Brogan took two long naps a day until he was 2 ½. And the biggest thing for me is that they go to sleep on their own. As with most things, Brogan was better with this than Beckett – probably because we had the time to follow all of our own rules. Routine – I have always been big on a routine – sometimes to a fault. The boys have got to have their naps, and they have to get to bed at a reasonable time. I try not to let them get over-tired. When it’s nap time, they go down – whether they seem tired or not. Sometimes it takes a while for them to go to sleep, but they usually do (let’s call it a 95% success rate). I can’t speak for others, but my kids can be miserable when they skip a nap – so we stick to a routine as well as we can. Cry It Out – I know, I know, this is hard. I know some people don’t believe in it, and I respect that, but I truly believe this was critical to creating good sleepers. We first let Brogan cry it out at 9 months. It was the day when we realized he was manipulating us. Until then, we’d put him down, he’d cry. We’d go get him, give him more bottle, try to rock him and put him back to bed. We’d repeat until he wore himself out and went to sleep. Then one night, he was screaming harder than normal and when we walked into his room he looked at us, smiled and started laughing. We realized we had fallen for his trick. He was perfectly fine, he had just realized that if he cried, we’d come running, and so he did it over and over and over. Brogan – 1, mom and dad – 0. So we decided we’d let him cry it out. It sucked. I’d sit outside his room listening to him cry, looking at the clock wondering how long I should let him go for before I “rescued” him. That first night, Blake caved first and after 15 minutes, he went in. The next night, after a pep-talk, we decided we were going for it, no matter how long the crying went on. And so he made us really work for it – 45 minutes. It was awful. I cried. I felt like I was letting my little guy down and I worried if he’d ever forgive me. But he did. The next morning was all smiles and laughs, as if the trauma of the night before had never happened. We were all-in for that night too – and he only screamed for 15 minutes. And then a funny thing happened, he never cried himself to sleep again. That was it. He was trained. With Beckett, it was not as hard to let him cry himself to sleep (I think with the second kid you’re desensitized to a lot). He didn’t quit the screaming as instantly as Brogan, but we still don’t give in (anymore – more on that below). Some nights he cries for 10 minutes, and some night it’s only a moment. Don’t Say Night-Night – Blake and I had a strict rule that you don’t talk about going to sleep until it’s actually time to go. This meant you can’t say night-night until you really mean it. I know this sounds strange, but here is the logic. We could tell that if you gave Brogan an inch, he would take a mile, so we decided that going to sleep was important and there would be no negotiation about it. So by eliminating any discussion on the topic, it eliminated the opportunity to fight it. We’d go through our bedtime routine and then we’d say, “It’s time to go night-night” and scoop him up and take him straight to bed – immediately. He learned that once he heard those words, that was it, it was bedtime. We’d lay him in bed, give him hugs and kisses and close the door. This worked until we started potty training, and then “I have to potty” was an excuse that got him out of bed more than I’d like. Sometimes now, he doesn’t go straight to sleep, but he stays in his room. Sometimes he sneaks out of his bed and grabs a book – sometimes he finds gloves and other random pieces of clothing and puts those on – but he stays in his room, which means come around 8 o’clock, I get a break. No Sleeping in Our Bed – So before I even get into this one, I have to admit that we broke this rule with Beckett, and it reinforced the importance of this rule! We were his prisoners for about 3 months. It started with traveling for the holidays and he didn’t like the pack-in-play. Then he got sick and was really congested. And then he was teething. We used all these excuses to justify why he was sleeping in bed with us. It was awful– even though he was sleeping, we weren’t. What it boiled down to was that once he got used to sleeping with us, he would scream bloody murder when we put him in his crib. He would get so upset that he would throw up. So the bottom line is just don’t do it. If you never start, you’ll never have to stop. I think sleep is critical to keep happy mommies and daddies – and happy husbands and wives. It keeps the kids happy too. So even though I wake up at 5am on the weekdays, and 6:30am on the weekends, I get a couple of hours of me-time in the evenings, and I get to sleep the whole night through. It’s was not easy to get here, but the prize was sure worth the fight! This entry was posted in Kids and tagged Advice, Babies, Cry it Out, Kids, Parenting, Sleep, Sleeping through the night, Toddlers by biscuitsncrazy. Bookmark the permalink.